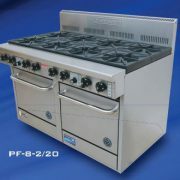 High performance, even heat 28mj cooktop burners for peak productivity. 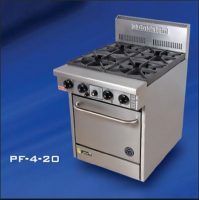 Constant pilot flame as standard, maximises operating and energy efficiency. 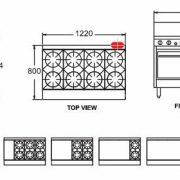 Flexible modular cooktop design enables many combinations of Burners, Griddle and BBQ. 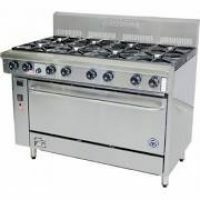 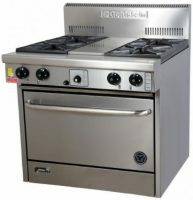 Static, fan forced or convection oven options in gastronorm compatible sizes: 490 & 690mm wide. 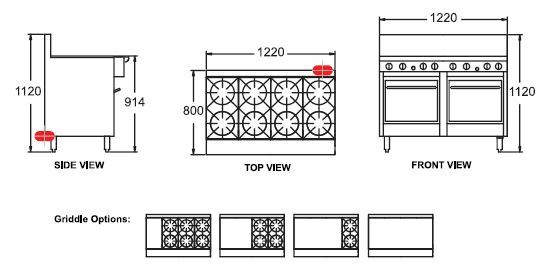 Ovens are fully insulated vitreous enamel for even heat and easy cleaning. 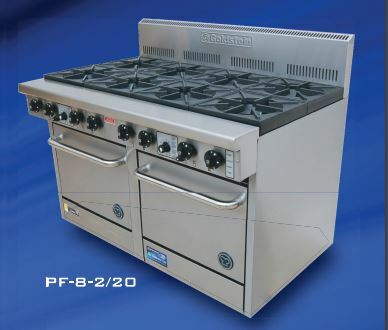 Heavy duty welded steel body for rigidity and durability.